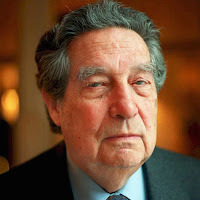 The poem Brotherhood is a fine lyric created by Octavio Paz, a powerful modern writer. The poem begins with ‘I’ which refers to the poet Octavio Paz himself. He says that he is a human being. It is his only identity. He knows that human life is very short and transient. Death comes to all to lead us to dust from where we come. We have a brief span of life on earth. But the life after death is unending. Then we go into the eternal darkness. Yet the poet is not sad. He looks up. He finds the writing of the stars. They write in light on the sky. They give the message of light and lustre. A realization comes to him. He, as a poet, creates. In his creation he remains alive. He lives completely only when he is created anew in the hearts of the readers. He is written by his readers. He thinks that the moment when this realization comes to him is a very special and valuable moment of his life. He declares with strong confidence that someone is there to understand him well and to explain him correctly. Finally, he gains faith in the existence of the Almighty. He is happy to think that as an artist he will survive in the hearts of readers. Despite all his limitations, he will enjoy perfect kinship with God who spells all out. He knows all the desires and limitations of man. This firm belief turns the poet optimistic. Brotherhood is a poem of just eight lines. But it is rich in significance, philosophy and lyricism. The poet thinks over the condition of man on earth. His life is very short in comparison with the vastness of the dark death. He knows well that his end will come soon. But as a creative writer, he will be remembered through his writings. Subjectivity is one of the essential characteristics of a lyric. The poet begins this poem, like a true lyricist, with ‘I am a man ...’ It is his personal emotions and thoughts which build the theme of the poem. Like a good lyric, it also has a lovely rhyming and lucidity of diction. The poem expresses the simple philosophy of life. It begins with a tone of pessimism that the poet, as a man, will die soon. But it ends with an optimistic tone that the poet will live forever in the hearts of the readers through his writings. The poet uses a very simple and suitable diction. The very brevity of the poem makes it effectively touching. The poem has a universal charm which increases its appeal to the readers.